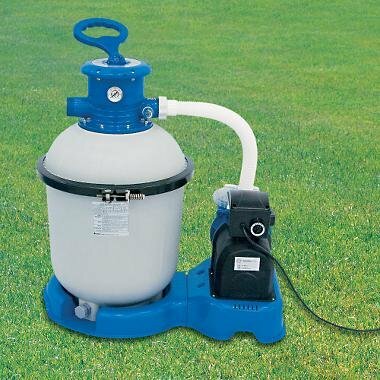 What to use as a base for filter/pump/chlorinator? Hi everyone. I've been lurking the boards for some months now. The information everyone shares is so helpful! I'll be putting up a thread once I have everything up and running. I'm getting ready to fill the pool, but I want to know what everyone recommends for a base for my filter. I was planning on leveling a rectangle on the ground and using large garden tiles, but still have nagging thoughts of a better solution. Pouring a small slab is not an option I want to consider. Find the patio block that appeals to you at your local hardware store uses as many as you need to make a base for your equipment. Be sure to remove the grass and level the area under the blocks first and everything should be fine! Using Pavers is a good option if you don't want to pour a slab. I used bricks under mine. I like the A/C pad idea too. That's what I figured was the best option. right on I'll remember to post them when I need to. It won't be too much weight. Our heat pump is on one, and it weighs about ten billion pounds. Mine is on an AC pad----------22" 250 lb. filter and pump. Looks nice too! jerseyKRS, how is the zeobrite working for you?